Analysis: Dawson will play through a right hip injury that landed him on the injury report heading into the weekend, though coach Steve Wilks relayed his kicker was "fine" Friday. Analysis: During media availability Friday, coach Steve Wilks told Urban that Dawson is "fine" and "will kick" this weekend. However, Dawson's listing indicates there's a sliver of doubt regarding his ability to play through a right hip injury. The decision on whether he'll suit up will emerge approximately 90 minutes before Sunday's 4:05 PM ET kickoff. There's no other kicker on the Cardinals' 53-man roster, but Zane Gonzalez is member of the practice squad. Analysis: The Cardinals' expectation became obvious when fellow kicker Matthew McCrane was released Monday. There isn't much reason to consider Dawson for fantasy lineups in a road game against a likely playoff team. 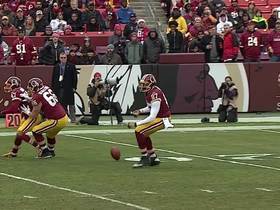 The 43-year-old has attempted just six field goals in nine games this season, consistently deprived of opportunities while attached to a terrible offense. Analysis: Dawson missed Sunday's loss to the Raiders due to a hip issue, and still appears to be progressing in his recovery. 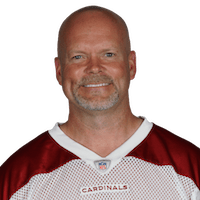 Though the 43-year-old's Week 12 status seems to be in question, the Cardinals' decision to release fellow kicker Matt McCrane earlier this week indicates that Dawson is expected to suit up against the Chargers. Analysis: Dawson missed Sunday's loss to the Raiders due to a lingering hip injury, but he appears on track to fully recover in time for Week 12. 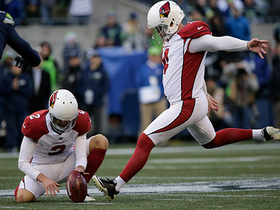 With Dawson on track to suit up, the Cardinals have released emergency kicker Matt McCrane. Dawson (hip) is listed as inactive Sunday versus the Raiders, Darren Urban of the Cardinals' official site reports. Analysis: Dawson made just one limited appearance in practice this week, which likely precipitated the signing of Matt McCrane on Saturday. The decision was a prescient one, as Dawson was unable to gain clearance from the team's training staff. In three games for the Raiders this season, McCrane connected on five of nine field-goal attempts and all five point-after tries. 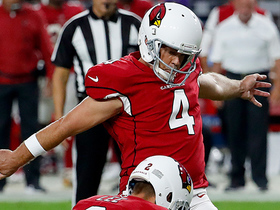 The Cardinals signed kicker Matt McCrane on Saturday, shedding doubt on Dawson's (hip) status for Sunday's game against the Raiders, Darren Urban of the Cardinals' official site reports. Analysis: Dawson has been battling the hip issue since Week 8 and is listed as questionable after being unable to practice this week. The signing of McCrane indicates the Cardinals aren't confident in Dawson's availability for Sunday's game, although the 43-year-old has yet to have any downgrade to his official designation. Dawson (hip) is listed as questionable for Sunday's game against Oakland, Darren Urban of the Cardinals' official site reports. Dawson (hip) was a limited participant in Thursday's practice. Analysis: The limited work was a positive step for Dawson, who has been nursing the hip issue since Week 8 and was held out of Wednesday's practice session because of it. The injury has yet to force an absence this season, and with the Cardinals having yet to add another kicker to the roster, the current expectation is that Dawson will be ready to go for Sunday's game against the Raiders. Dawson missed Wednesday's practice with a right hip injury, Darren Urban of the Cardinals' official site reports. Analysis: Since picking up the issue while preparing for Week 8, Dawson has hit all three point-after tries and his sole field-goal attempt (a 31-yarder) across two games. Although he's proved his ability to play with a compromised hip, his production has been lacking (2.9 points per game) in support of the Cardinals' 31st-ranked scoring offense (13.8 points per game). Dawson converted both extra-point attempts during Sunday's 26-14 loss to the Chiefs. Analysis: Dawson logged another accurate performance, and he has not missed a kick since Week 4. Despite his reliability, the 41-year-old is not receiving the volume necessary to put up fantasy points. Dawson will see a favorable matchup against the Raiders on Sunday and will attempt to bounce back. Arizona Cardinals place kicker Phil Dawson tries onside kick attempt against the Chiefs, but it doesn't work. 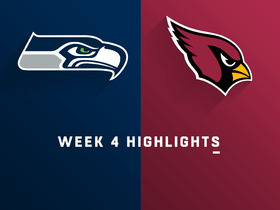 Watch the highlights as the Seattle Seahawks take on the Arizona Cardinals in Week 4. 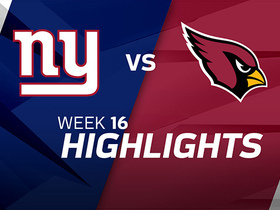 Arizona Cardinals place kicker Phil Dawson goes wide right on a missed 45-yard field goal. 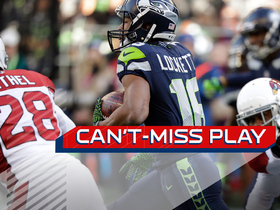 Seattle Seahawks wide receiver Tyler Lockett beats defenders and scores a 99-yard touchdown on the kick return. 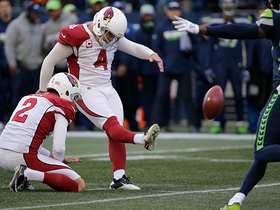 Arizona Cardinals placekicker Phil Dawson hits 43-yard field goal putting the Cardinal's ahead of the Seattle Seahawks. 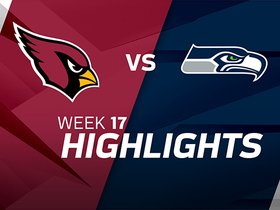 Arizona Cardinals placekicker Phil Dawson makes 53-yard field goal to put the Cardinals' ahead of the Seattle Seahawks by nine points. Arizona Cardinals kicker Phil Dawson puts some incredible spin on his kickoff and it is recovered downfield by safety Budda Baker. 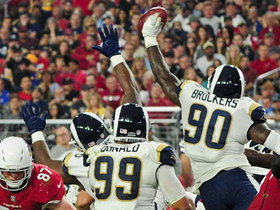 The Rams block a Cardinals attempted FG and return it for 19 yards.